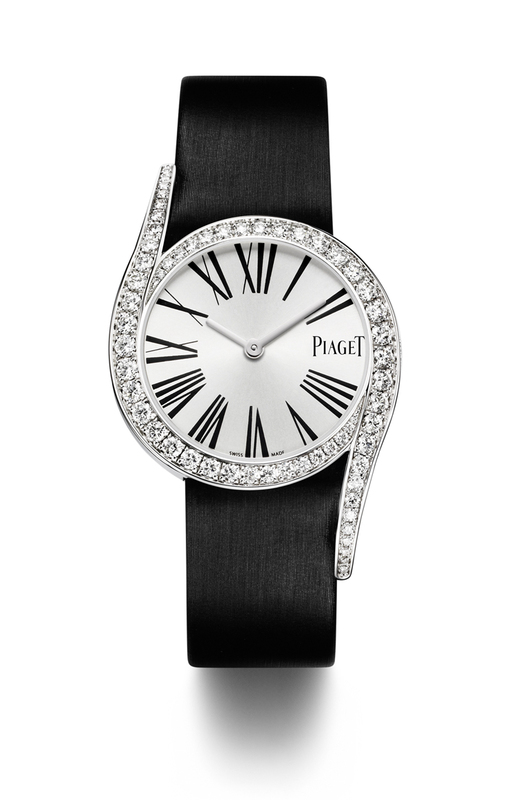 Here at Time and Watches we focus on mechanical watches but the Limelight Gala, presented by Piaget during the 2013 Salon International de l'Haute Horlogerie, is so beautiful that we gladly make an exception even if the model adopts a quartz movement. Inspired to the fascinating 1960s, the new Piaget Limelight Gala Ref. 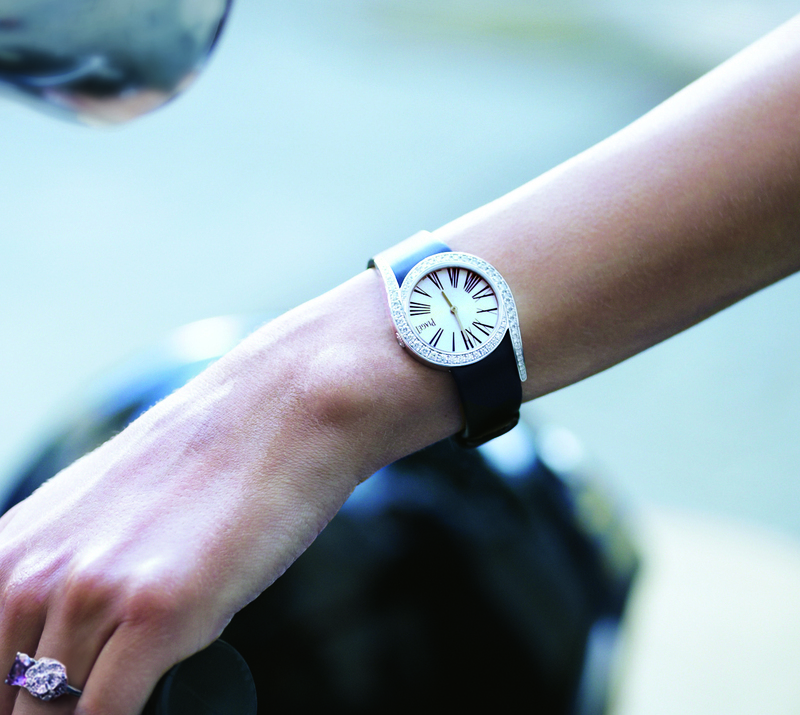 G0A38160 is quintessentially feminine. The 32mm white gold case is sublimated by two elegantly extended lugs that, just like the bezel, are set with a row of progressively sized 62 brilliant-cut diamonds (approx. 1.8 cts). 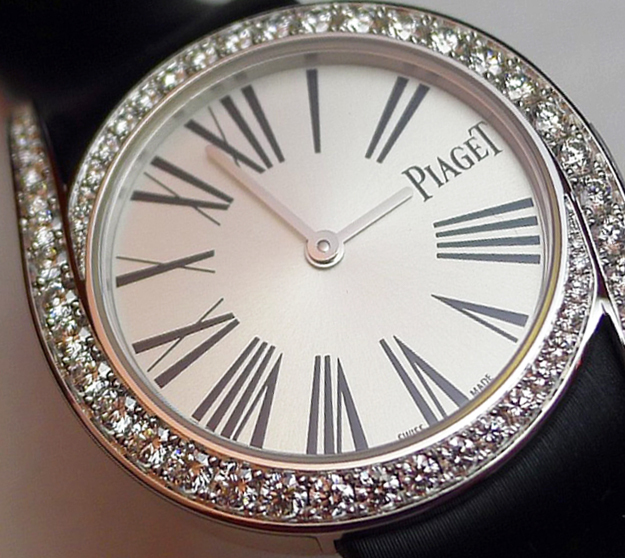 The understated silvered dial radiates features black Roman numerals that perfectly match the black satin strap with ardillon buckle set with 1 brilliant-cut diamond.